(HealthDay News) -- Sleeping well during middle age may be an "investment" that leads to better mental functioning later in life, a new review finds. It's known that sound sleep boosts memory and learning in young and middle-aged people, but many people begin to have sleep problems as they move into their senior years, the researchers noted. That raises an "alluring question," said Michael Scullin, director of the Sleep Neuroscience and Cognition Laboratory at Baylor University in Waco, Texas. "If sleep benefits memory and thinking in young adults but is changed in quantity and quality with age, then the question is whether improving sleep might delay -- or reverse -- age-related changes in memory and thinking," he said in a university news release. "It's the difference between investing up front rather than trying to compensate later," he added. 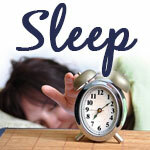 Scullin analyzed 50 years of sleep research. "We came across studies that showed that sleeping well in middle age predicted better mental functioning 28 years later," he said. Scullin's team defined middle age as 30 to 60 years old. While the researchers found an association between middle-age sleep and mental ability later in life, the study did not prove cause and effect. The paper appears in the January issue of the journal Perspectives on Psychological Science. People who live to age 85 may have slept nearly 250,000 hours, or more than 10,000 full days, Scullin said. "People sometimes disparage sleep as 'lost' time," he noted. However, even if the link between sleep and memory weakens with age, "sleeping well still is linked to better mental health, improved cardiovascular health and fewer, less severe disorders and diseases of many kinds," Scullin said.